As RVers we are constantly on the go, and a lot of the time, grabbing fast food seems like the easiest option while traveling. 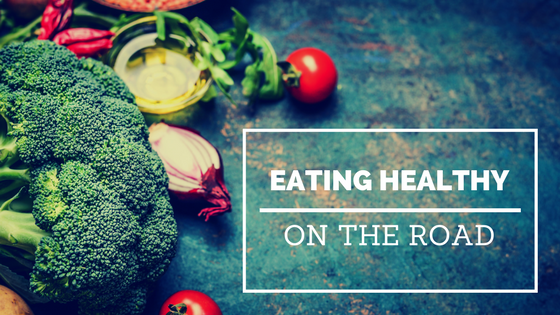 But contrary to popular belief, eating healthy while on the road is actually possible and isn’t as hard as you might think! 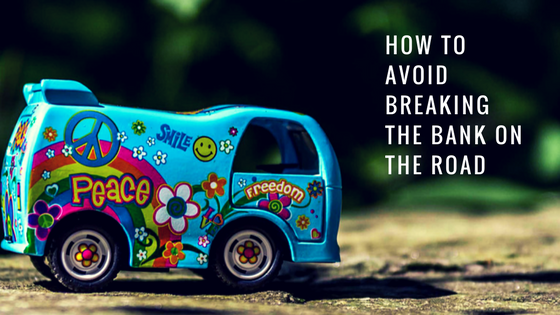 Check out our top tips on how to eat healthy while RVing. Meal prep - Meal prepping is one of the top ways to save time and money in the kitchen - but it’s also a great way to eat healthy. Planning and prepping your meals ahead of time gives you no excuse to choose unhealthy options while on the go. We suggest picking one day a week where you plan out your (healthy) meals and begin prepping. It’s important to keep meals simple since you have limited space to cook in your kitchen on wheels. It’s also important to try to keep any perishable foods in airtight containers to preserve their shelf life. Check out some of these great tips for easy/healthy meal prepping. 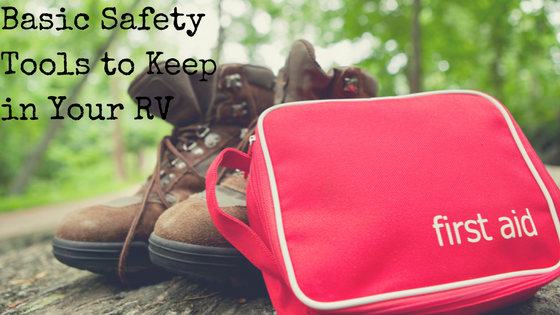 Keep your RV stocked with healthy snacks - When you’re traveling from point A to point B someone in your RV is bound to get hungry. 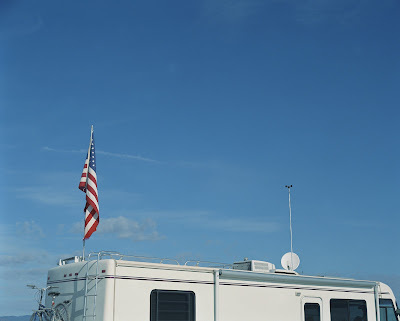 So, take away the temptation of those gas station treats and rest stop vending machines by having an RV that’s fully stocked with healthy snacks. Protein bars and trail mix are great, filling snacks that can be stored for long periods of time. Having fresh fruit on board is also a great option that requires virtually no prep time. Some other healthy snacks perfect for road trips include: Beef/turkey jerky, dried fruits, peanut butter, oatmeal, popcorn, string cheese, etc. Eat local - One of the many beauties of being RVers is that we have the luxury of traveling to new places and experiencing new things - food included! There’s amazing, healthy food all over the country and we encourage you to check out the local cuisine on your next adventure. A great way to do this is to check out a local farmer’s market. You’ll be able to find the best seasonal, healthy options that all of the locals are eating. To make it even easier, you can check out Local Harvest, a website dedicated to finding you the nearest family farms, farmers markets, and restaurants that all feature local foods. We hope these three tips have you thinking about how you’ll choose healthier options on your next trip. Food is the fuel that keeps us going, so it’s crucial to pick healthy options that will give you the energy you need to take on the day. What are some of your tips on eating healthy while on the road?